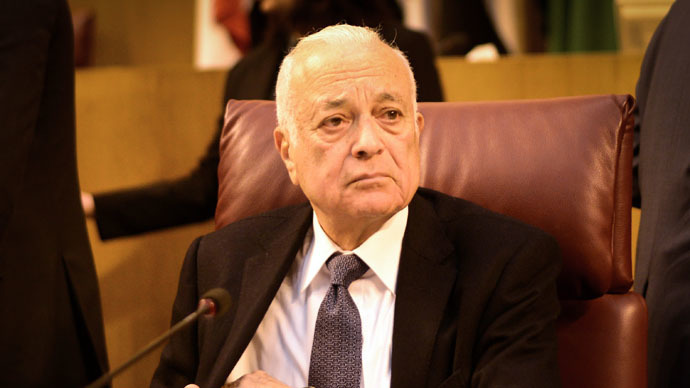 Arab League chief Nabil al-Arabi has called for the creation of a unified rapid military Arab force to fight the Islamic State and other groups, and urged greater security cooperation among Arab nations in the battle against terrorism. “There is an urgent need for the creation of a multi-purpose common Arab military force... able to intervene rapidly to fight terrorism and the activities of terrorist groups,” al-Arabi said during a meeting of league foreign ministers in Cairo on Monday, AFP reported. Last Tuesday, Arab League deputy chief Ahmed Ben Helli announced that the bloc representatives will gather in Egypt's Red Sea resort of Sharm el-Sheikh on March 28-29 to discuss the possibility of setting up a defense unit to battle Islamic State militants (IS, formerly known as ISIS, ISIL). The militants control huge swathes of Syria and Iraq and have gained a foothold in war-torn Libya. "Such forces should be ready and present so that they could symbolically show that the Arab countries have a deterrent force and a peacekeeping force that could step in at times of conflicts," Helli said. In an interview with Al-Arabiya on February 28, Sisi said that such an anti-jihadist force could get support from Arab League members Saudi Arabia, Kuwait and the United Arab Emirates. He added that he had already discussed the establishment of such a unit with Jordan's King Abdullah II, who supported the notion. Egypt launched airstrikes in Libya in February targeting IS positions after the extremists executed 21 Coptic Christians. Arab League members, such as Saudi Arabia, the United Arab Emirates, Jordan, Bahrain and Qatar have participated in the US-led airstrikes against IS in Syria, launched in September 2014. But Washington has refused to work with Syria’s government, saying it wants to see President Bashar Assad ousted.